Darcie Draudt is a research associate for Korea Studies at the Council on Foreign Relations. On Tuesday, South Korea’s main opposition party, the New Politics Alliance for Democracy (NPAD), began a sit-in in support of a controversial bill that aims to organize an investigation into April’s Sewol Ferry incident. The bill, proposed in July by NPAD representative Jeon Hae-cheol, stipulates compensation for victims and their families. This bill also includes plans for an investigatory committee that would be comprised of civilians, which the ruling Saenuri Party argues is unconstitutional. The Sewol incident has led to increasing protests over the past few months to protest the government’s handling of the situation, with much finger-pointing and calls for action but little progress. 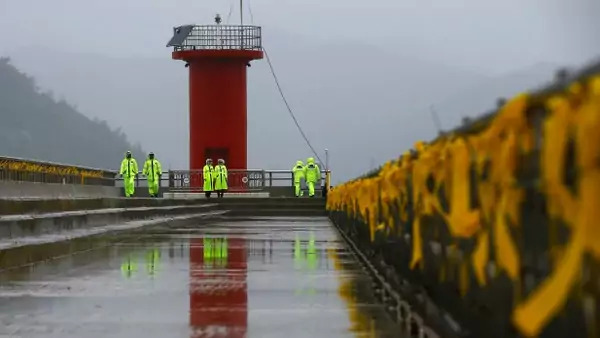 Following signs of initial bipartisan cooperation on the special Sewol bill, it appears a vocal minority is gaining traction this month in both the parliamentary and civil arenas, resulting in political gridlock. The ruling party, via President Park, claims the NPAD has allowed political deadlock to get in the way of revitalizing the economy; the NPAD claims the Saenuri Party is scapegoating and using a tragedy to avoid unwanted legislation. Ironically, the stalemate is a sign that South Korean politics is returning to normal following an extended period of crisis. But one difference between this political stalemate and previous ones is that the 19th National Assembly is subject to a new law passed in May 2012 that is designed to prevent a strong ruling party from steamrolling opposition and improve bipartisan cooperation on legislation. The National Assembly Advancement Act requires consent from three-fifths of assembly members before a bill can be put of for a vote during a plenary session. The ruling party currently holds 158 seats in the 300-seat assembly, meaning that the National Assembly has been prone to deadlock along party lines in the absence of compromise. However, instead of protecting the rights of the minority, the new law has had the unintended consequence of impeding the government from functioning smoothly. Following her inauguration in 2013, President Park faced a one-month delay in assembling her cabinet and in gaining National Assembly approval for a long-deliberated government reorganization plan that that sought to centralize economic planning and shift control of new media policy. In late 2013, a similar deadlock over a National Intelligence Service scandal kept the National Assembly inactive for over one hundred days. Since May 2, no bills have been passed, and NPAD lawmakers have said they will refuse to pass any bills until the ruling party concedes to their stance on the Sewol bill. The resolution of the immediate crisis may force the Park administration to show more effort in investigating Sewol, but one hopes that the focus of such an effort is less influenced by blame for the past than by efforts to capture lessons that will make the South Korean government more effective in addressing future crises. For instance, Korea might consider the U.S. experience with restructuring disaster response following Hurricane Katrina in 2005. Indeed, Sewol has been called “Korea’s Katrina moment” as both nations found their local and national agencies unable to adequately respond to an emergency in a timely and efficient manner. As David Hamon and James Ahn point out, U.S. Presidential Policy Directive No. 8, which laid out national frameworks to the Department of Homeland Security for emergency prevention, protection, mitigation, response, and recovery following Katrina, might be a suitable model to export to Korea to help integrate government authorities with security services. Additionally, the Katrina experience reminds us that a clear chain of command is essential in disaster assistance, and while the center can direct policy the response and remediation will be local. There is no reason why a national tragedy as significant as the Sewol incident should be held captive to politics without gaining the opportunity to apply lessons from the past so as to prevent a similar crisis from occurring in the future.